This diamond Claddagh ring is cast in 14K white gold and it features 3/4ct (0.75ct) total diamond weight. 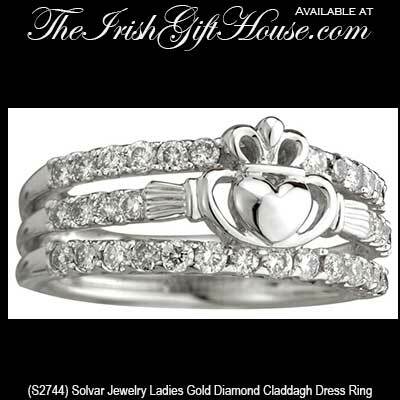 The white gold Claddagh ring measures 3/8" tall in the front and the diamonds have a clarity grade of SI 1 with a G - H color rating. 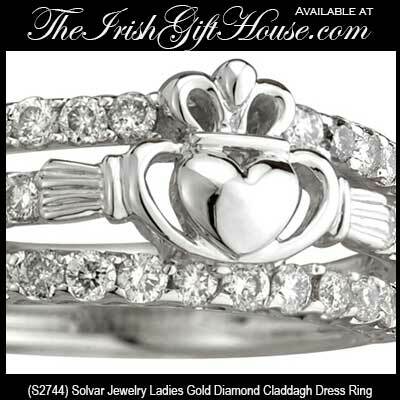 This diamond Claddagh ring is available in limited sizes.